This article was originally published on Materialise.com. Italian engineering company QualiCal saw an opportunity for innovation in lime production, and asked — could 3D printing help eliminate the single biggest cause of production downtime? It could and it has. Partnering with us, QualiCal developed a shaft level indicator that offers the potential for increased revenue of up to €1,400,000. Lime is one of the most important materials to modern life. Used in applications ranging from construction to cosmetics, it is estimated that the average EU citizen consumes around 150 grams of lime/day through products containing, or manufactured using, the age-old substance. Lime production is big business but also highly competitive, making the need to increase profitability, improve product quality and reduce operational inefficiency, essential. Coupled with an industry-wide drive to utilize the benefits of digitization and realize Industry 4.0 ambitions — Italian engineering company QualiCal saw these challenges as an opportunity to innovate. They asked the question — could 3D printing help eliminate the single biggest cause of production downtime? It could and it has. 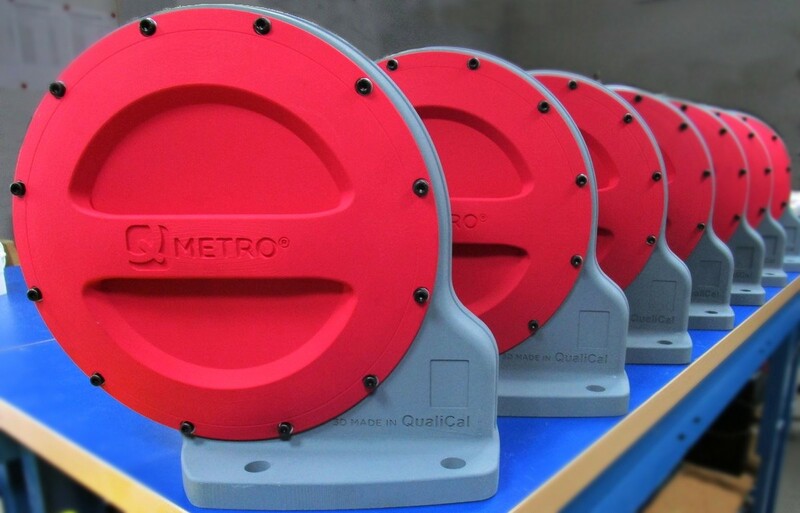 Partnering with Materialise, QualiCal has developed METRO — a 3D-printed shaft level indicator that offers its users significant savings, and the potential for increased revenue, of up to €1,400,000. QualiCal has been innovating in the Lime production arena for 20 years — championing processes and capabilities enhanced though digitization. This commitment to evolving techniques and technologies prompted the business to explore ways to improve a key area of production — limestone level indication. Accurately measuring the limestone levels inside kilns during the lime production process is essential as it dictates operational actions required to optimize final product quality. Traditionally, a shaft level indicator (SLI) fulfils this role: a drum powered by an electronic motor and hydraulics lays down a counterweight to maintain physical and continuous contact with the material bed in order to feedback constant and accurate limestone level measurements. Though universally adopted, the solution is far from ideal. The SLI’s complex mechanical design (many moving parts) often results in ‘friction failure’ or data inaccuracy. 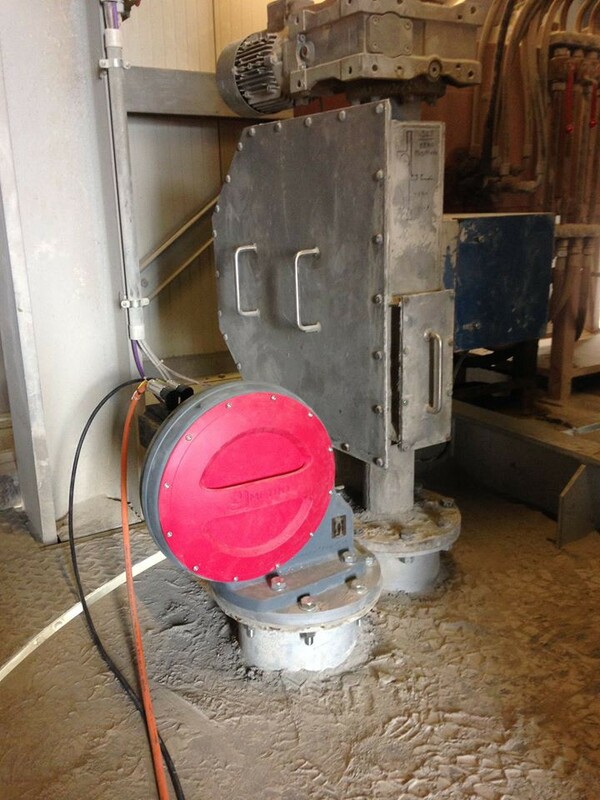 The unit is also susceptible to powder clogging from the dusty kiln environment. Cumulatively the issues make SLIs the primary cause of unplanned plant downtime, costing the average facility over €20,000 a year in production losses. So what if downtime could be ‘designed out’? Francesco Cella, Technical Director at QualiCal, says: “The shaft level indicator is the heart of the lime production process — what was clear to us was that the heart could beat faster and stronger. Introducing a new brushless motor, continuous torque control and simplifying mechanical parts — eliminating the need for extra hydraulics — we developed the first METRO prototype. Having field-tested the unit in a HeidelbergCement Synthesis kiln we knew the concept was sound. Using honeycomb structures and performance plastics — fiber/aluminum reinforced nylon — the team were able to reduce instrument size by half (drum diameter from 500mm to 250mm), distributing strength throughout the unit to improve resistance and durability. Front-to-back screw channels, impossible to create using traditional milling techniques, removed any need for connection with the inner environment delivering excellent resistance to pressure from processed air. Alessio Esposti, Account Manager for Materialise Italy, explains: “When QualiCal came to us with the metal prototype, we knew that 3D printing design techniques could help optimize and reduce individual components to further minimize points of physical failure and operational malfunction, and quickly came up with the design concept to take forward for development. Being ‘maintenance free’ is a claim borne out by reality. During a six month pilot deployment in an active kiln, the new look METRO required no maintenance and, when inspected, showed no signs of needing any in the near future. Gear boxes no longer need lubricating. Parts no longer wear out from friction. Overheating no longer occurs from mechanical wear and tear. All for the same unit cost as producing the old, traditionally manufactured steel SLI instrument. Reducing mechanical parts and optimizing design has also improved sensor accuracy, meeting QualiCal’s commitment to enhanced digital feedback for improved production in line with Industrial Internet of Things (IIoT) principles. The purpose of this publication is to share worldwide knowledge and experiences between people involved in LIME industry, paying particular attention to the technical solutions adopted for quicklime and hydrated lime production.